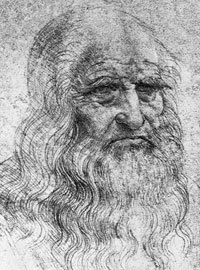 The Uomo Universale of the Italian Renaissance and possibly the most brilliantly creative man in European history—Leonardo da Vinci, was born on 15 April, 1452 in the village Anchiano, near the small town Vinci, in the vicinity of Florence, Italy. He was an illegitimate son of the 25 years old Ser Piero Fruosino di Antonio da Vinci (1427-1504), a prominent notary of Florence, and a 15 years old native peasant woman—Caterina di Meo Lippi (1537-1595). The extremely gifted intellectually and physically child grown up in the farm of his grandfather in Anchiano, without his mother, who was arranged to marry a local farmer, being considered as a unsuitable party for the promising notary. There is no information if Leonardo has attended a school at all, or was educated by the village members of da Vinci family, which took care for the child—his uncle Francesco (1436-1506), grandfather Antonio (1373-1468) and grandmother Lucia (1393-1470). Even in these old days, when every man, who can read and count, has been considered as a highly educated, Leonardo remained uneducated and later on will worry about this fact. When Leonardo was 15, his father noticed the extreme talent of the boy and apprenticed him to Andrea del Verrocchio, a leading artist of Florence and a characteristic talent of the Italian Renaissance. 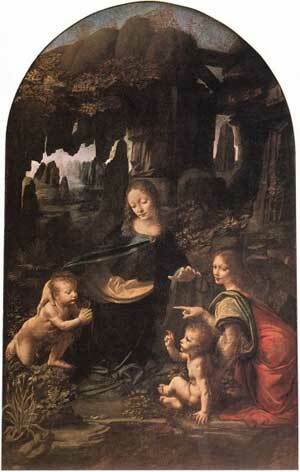 Leonardo came also into contact with such great artists as Botticelli, Ghirlandaio, and Lorenzo di Credi. After completing his apprenticeship, Leonardo stayed on as an assistant in Verrocchio's shop, and his earliest known painting is a product of his collaboration with the master. In Verrocchio's Baptism of Christ from 1475 Leonardo painted part of the painting, and already in this young age his genius was apparent. In 1478 Leonardo set up his own studio. The culmination of Leonardo's art during his first period in Florence is the magnificent altarpiece Adoration of the Magi, commissioned in 1481 by the monks of San Donato a Scopeto, but left unfinished by Leonardo. 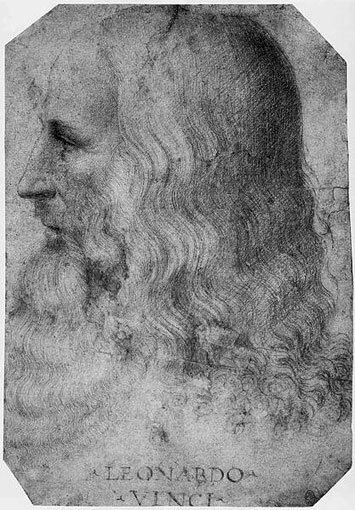 Leonardo left Florence in 1482 to accept the post of court artist to the Duke of Milan Ludovico Sforza and stayed there for 17 years. This is the most productive period of the genius. In this time he composed the greater part of his Trattato della pittura, created extensive notebooks (with the so important for us sketch), that demonstrate the marvelous versatility and penetration of his genius, painted Madonna of the Rocks and Last Supper (see the photos below). As court artist he also organized elaborate festivals, paid attention to problems of town planning, created many architectural projects. Leonardo also worked on an equestrian monument to the duke's father, Francesco Sforza. The work was never cast, and the model, admired by his contemporaries, perished during the French invasion of 1499. 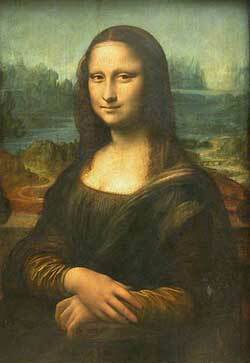 In 1494 Leonardo took in Milan his mother Caterina, who died next year. 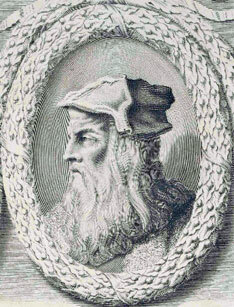 In 1500 Leonardo returned to Florence, where he was received as a great man. Here he painted his prominent paintings Leda and the Swan, Mona Lisa and Battle of Anghiari. In 1502 he entered the service of Cesare Borgia as a military engineer. Called back to Milan in 1506 by the French governor in charge, Leonardo worked on an equestrian statue project, but he produced no new paintings. Instead he now turned more and more to scientific observations. He filled his notebooks with data and drawings for: anatomy, fire-arms, the action of water, the flight of birds (leading to designs for human flight), the growth of plants, and geology. In 1513 Leonardo went to Rome, where he remained until 1516. He was much honored, but he was relatively inactive and remarkably aloof from its rich social and artistic life. He continued to fill his notebooks with scientific entries. In 1516, the French king, Francis I, invited Leonardo to his court at Fontainebleau, gave him the title of first painter, architect, and mechanic to the king, and provided him with a house—the mansion Clos Lucé in Royal Château d'Amboise, France. There Leonardo designed grand projects: the palace and the ideal town at Romorantin, the draining of the Sologne marshes, the surprising staircase with double turns at Chambord, among others. When Leonardo died in Clos Lucé on 2 May, 1519, the King Francis I said: "For each of us, the death of this man is a bereavement, since it is impossible that we will ever see his like again." Within his own lifetime his extraordinary powers of invention, his "outstanding physical beauty", "infinite grace", "great strength and generosity", "regal spirit and tremendous breadth of mind" were admired by his contemporaries. He was a friend of many prominent people of his time, to mention only the mathematician Luca Pacioli, with whom he collaborated on a book in the 1490s, Cesare Borgia, in whose service he spent the years 1502 and 1503, Niccolò Machiavelli and many others. 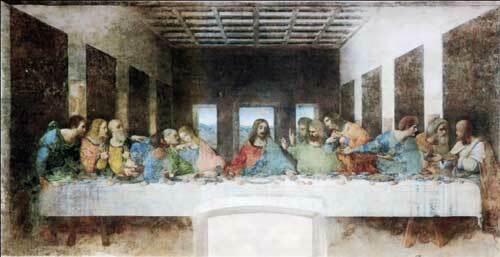 Leonardo's influence over the all painting art was enormous. His influence on science was much less, although his drawings may have been known for example to the anatomist Andreas Vesalius and had an effect on his great publication of 1543. However, most of Leonardo's scientific observations remained unknown until the same questions were again investigated in later centuries.